ArchDaily this week sang the praises of robotic or automated parking, using the Dokk1 garage in Denmark as an example. The technology, says the post, saves space and time and makes parking something that can fit into tight spaces and offer a convenient option for drivers. Well, we knew that. Remember our own article about Dokk1 this time last year? 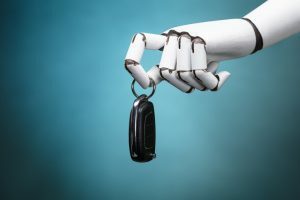 And you might have heard that London’s Gatwick Airport is exploring robotic parking in its garages; a robot named Stan (for real) will carefully slide patrons’ cars into parking spots while they make their way to the terminal. Of course, cars that are parked by robots can be set inches from each other, improving capacity in garages and leaving more land for other things. Chinese officials say their new robotic garage offers 60 percent more parking capacity in the same space as a traditional garage. Of course, it costs more at the outset, but that capacity, some say, more than makes up for the cost. We may be a ways away from automated driving, but automated parking seems to be making a big splash. Has it come to a garage near you? Let us know in the comments.